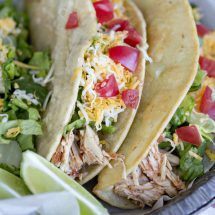 Chicken, salsa and chicken broth are all the ingredients you need to whip up these delicious crockpot chicken tacos! 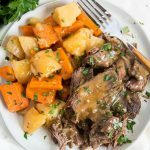 They are slow cooked for an easy weeknight meal that everyone will love! Tacos are a staple in our house. We love any kind of taco, from beef to chicken to carnitas, even fish (well, I love fish, the kids? notsomuch). A month or so ago I shared my go-to Slow Cooker Mexican Shredded Beef recipe with you. We use that for everything from tacos to tostadas to rolled tacos. 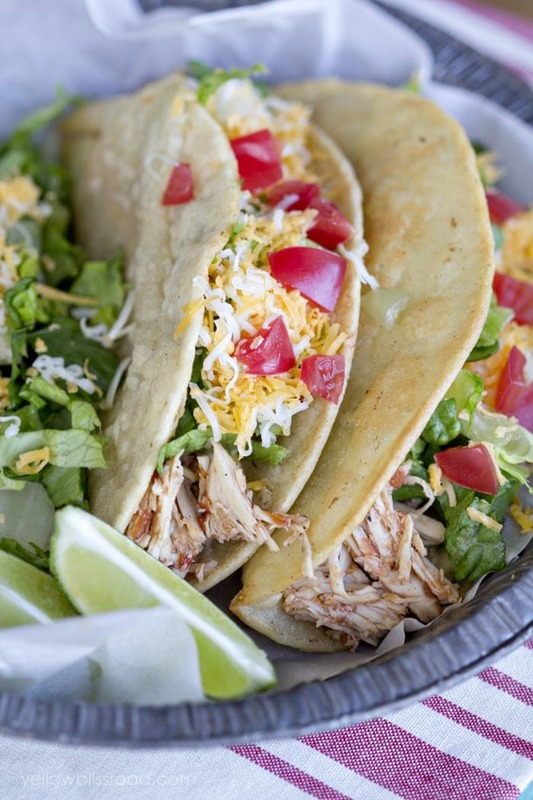 It’s super versatile, and so is the Crockpot Chicken Taco Meat. It starts with three chicken breasts, seasoned well with salt, pepper and garlic powder. Sidenote – I just got a new Slow Cooker. 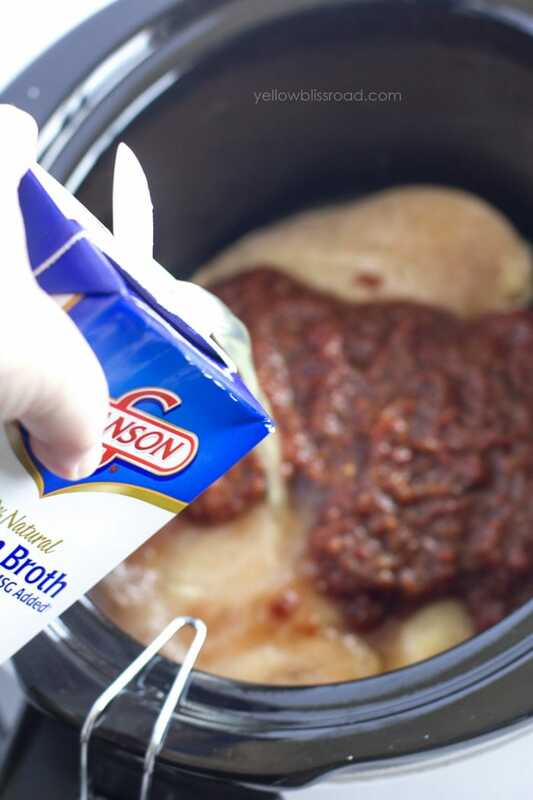 Its the Hamilton Beach Programmable Slow Cooker (aff) and so far I really love it. It’s got a thermometer, so no more overcooked, dry meat! Not sponsored, just wanted to share! This chicken tacos recipe couldn’t be easier, with just 3 steps! 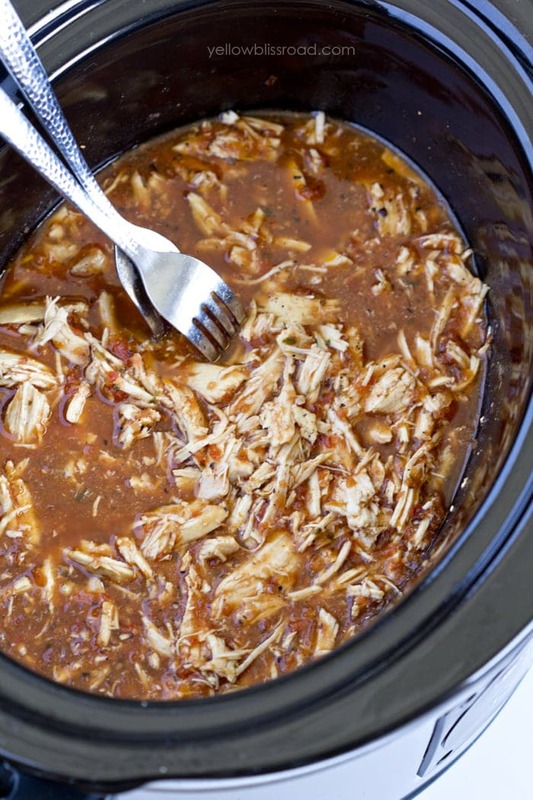 Pour a jar of salsa and a little chicken broth over the chicken in the slow cooker. Close the lid (I love how this one has a rubber seal and locks down tight) and cook on high for 3 hours. If you prefer, you can cook on low for about 4-5 hours, but I am partial to cooking chicken on high in my slow cooker. Once the time is up, check to ensure that your chicken is cooked, and shred with two forks. Leave the chicken in the broth and set your slow cooker to warm (or low if there’s no warm setting). This will help the shredded meat soak up that lovely juice. Now it’s time to make your tacos! Any taco shell is good, but I have to admit, homemade are the best. 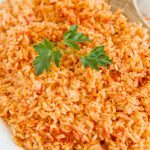 Serve with a side of homemade refried beans and Mexican rice or a salad for a complete meal. While I will take a shortcut and use store-bought taco shells from time to time, we do absolutely love to fry them up homemade. 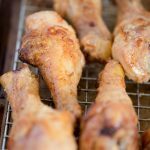 They are simple to make and can be done while your chicken is sitting in the slow cooker on the warm setting. Heat 1-2 inches of vegetable or corn oil in a deep skillet over medium to medium-high heat. The oil should reach 365 degrees. If you don’t have a thermometer to check, sprinkle a couple of drops of water in the oil and if they sizzle, it’s ready. Use metal tongs to place a corn tortilla in the hot oil and fry it for about 15 seconds. It should begin to sizzle immediately. Flip it over and fold it in half, holding it in place with the tongs until the shell is crispy. Reheat in the oven if necessary, but these are great at room temperature as well. They can lose their crispiness and get chewy as they sit, so it’s best to enjoy right away. I recommend making the tacos shells last, just before you are ready to eat. My entire family loves these Slow Cooker Chicken Tacos! I think my family would love it if I made these crockpot chicken tacos daily. 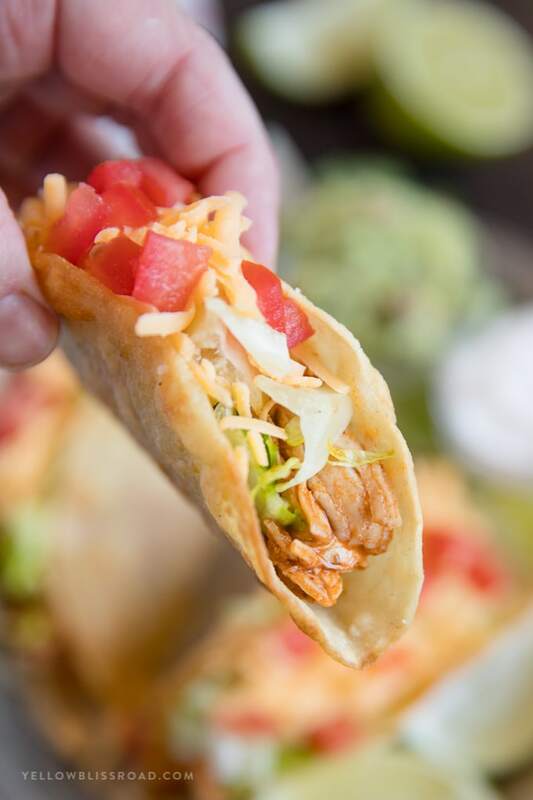 The chicken tacos meat is delish in tortillas topped with lettuce, cheese, tomatoes and any other favorite taco toppings, but it’s also great in enchiladas, burritos, quesadillas and casseroles. Make a double batch and keep some on hand in the freezer so you’ve always got slow cooker chicken tacos at the ready! 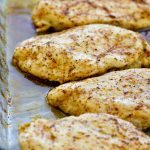 Season chicken breasts well with salt, pepper and garlic powder on both sides and place in the bottom of a crock pot. Pour salsa and chicken broth over chicken. Cover and cook on high for 3-4 hours or low for 4-5 hours. 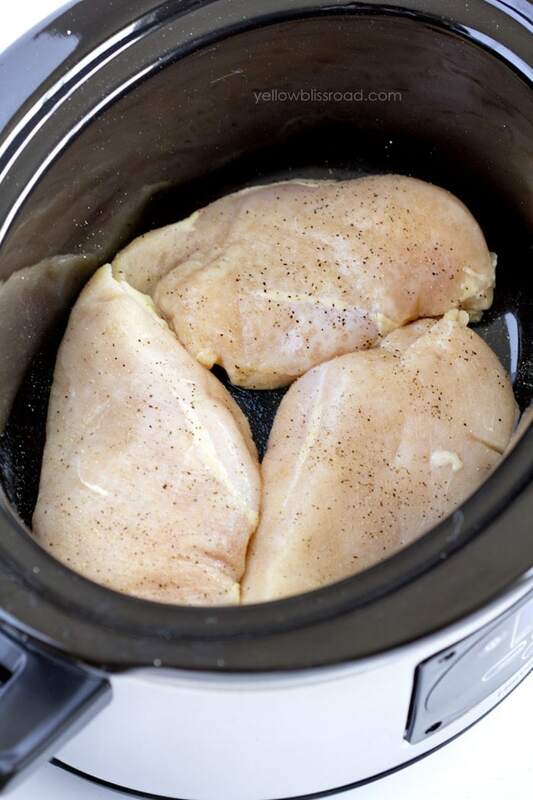 Shred chicken in the crock pot and cook on low for about 30 minutes. To make your own crispy taco shells, fry corn tortillas 1-2 inches of hot oil in a deep skillet, using a wooden spoon and tongs to careful fold them before they are set. Drain on paper towels. Serve in taco shells or tortillas with your favorite taco toppings. 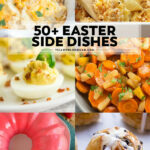 For all easy dinner recipes, go HERE and for all recipes, go HERE. Made Tacos and Tostadas tonight, using this recipe and Pace Original salsa for the chicken. It turned out very tender and tasty. The juice needs to be drained before placing the meat on the shells. We layered with refried beans (doctored up canned with butter, Adobo seasoningm and cumin), the chicken, cheddar jack cheese, shredded lettuce, guacamole, and Newman’s peach salsa. They were excellent and very easy. Great recipe! Thank you Anita! and thank you for your feedback! Can you cook this on low for 7-8 hours instead of high for 3-4 hours? Thanks! 7-8 hours would probably be too long, at low temp I’d stick with under 6 hours. What if you started out with frozen chicken breasts? Would that be ok to leave on low for 8 hrs? Even with frozen it will cook fairly quickly. If using low, 6 hours is probably enough. The longer it cooks, especially at low, the greater the chance of drying out. How many servings is this recipe for? It makes quite a bit of meat – at least 6 servings. Top of the recipe (description) says 2 to 3 hours. Then in the boxed recipe it says 3 to 4. About how long it did take until yours were at temperature. I usually cook them for around 3 hours. Sorry, there was a discrepancy. I made this for dinner tonight. Whole family enjoyed it. 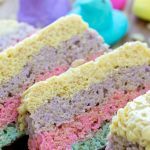 I loved how easy and quick it was to prepare. What brand of salsa did you use in your chicken tacos recipe? I usually use Rojo’s, but I’ve also used Herdez and Pace. 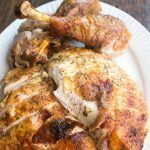 could you use left over rotisserie instead of fresh chicken? You could, but I wouldn’t bother with the slow cooker in that case. Just combine it with the maybe half the salsa and half the broth in a pan on the stove, covered, for 20 minutes. You could also do the slow cooker for a couple hours if you wanted. Interesting variation of a recipe I’ve made for along time that is just chicken, salsa and taco seasoning packet. I’ve always wondered how it would turn out if i just did seasonings myself instead of the salty taco packet. This might be an option! Crockpot, chicken and Tex Mex, all our favorites! When my children were young I practiced once a month cooking, even though we are retired we still eat at home a lot, so I will double or triple this recipe and pkg it in flat food sealer bags and have meat ready dinners for several meals. You should try once a WEEK cooking to get started then work up to a month. There is a great book Once A Month Cooking by Mary Beth Lagerborg, she will show you how to do this with just your refrigerator freezer . This made my life much more enjoyable, healthy, no more trips thru the drive thru, great for our budget and I could go on and on! GOOD LUCK! 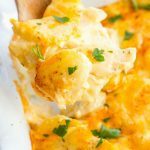 Love your recipes.. just found your site recently. Thanks for sharing.